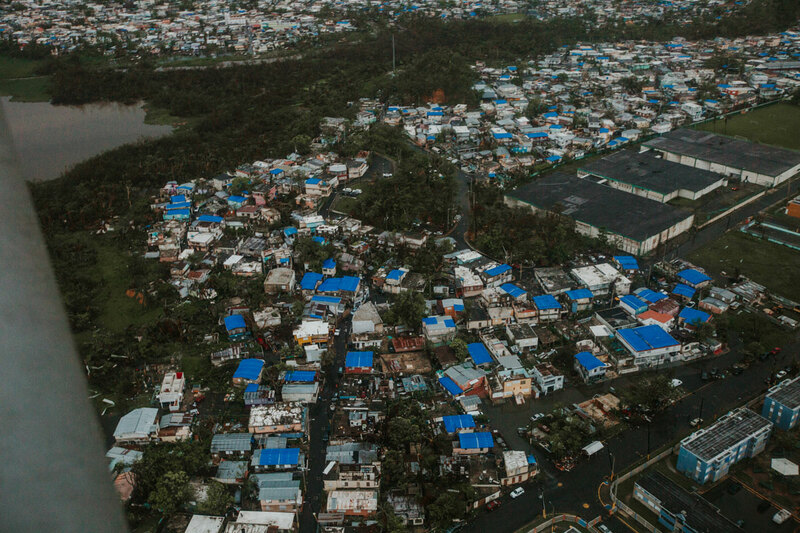 Ifill came to Puerto Rico a few weeks after the hurricane, when it was clear that things simply weren’t getting any better. 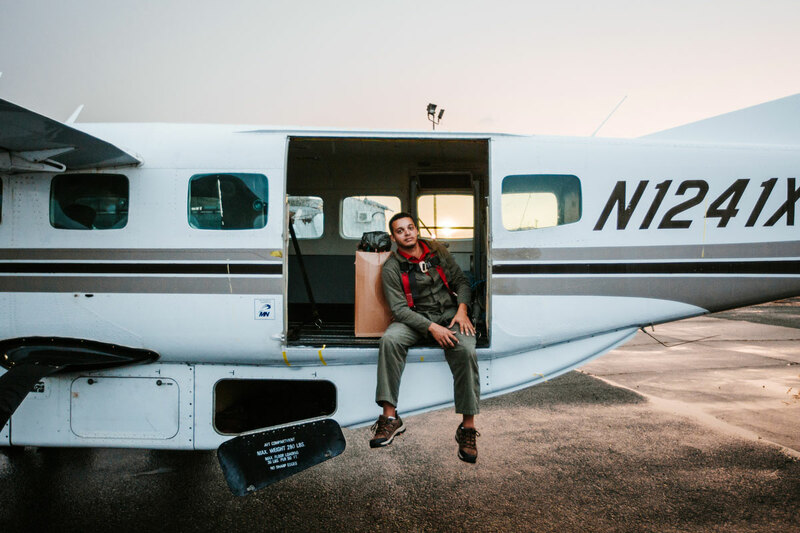 His goal was twofold: To utilize his company’s burgeoning skills in cargo logistics to see if they could help by air-dropping supplies to the most remote parts of the island, and to further develop—through first-hand experience—the systems necessary to one day do that with drones. The idea, of course, would seem like a no-brainer. Unmanned aerial vehicle (UAV) technology is developing as fast as any other high-tech field, with the likes of Amazon and Google leading the charge on the commercial side and the Army, Navy, Air Force, and Marines pushing just as hard on the military side. But at the moment—thanks to FAA regulations that limit their use and testing—there are no unmanned systems that can help deliver critical supplies to areas in urgent need. They need to come via truck, or if the roads are out, helicopter—assuming those are even available and there are landing sites. Either option is expensive, slow, manpower-intensive, and unreliable. But Ifill’s startup, DASH Systems—he’s CEO—is working to develop a solution that uses precision-guided package delivery technology to quickly and economically distribute food, water, and other essentials with pinpoint accuracy. In his vision, emergency supplies would be loaded into small disposable containers that can be dropped out of manned aircraft and automatically steered to their destinations via control surfaces on the tail assembly. Each of these devices—he hasn’t released photos yet, but they look basically like squat little bombs—would then float relatively slowly, thanks to their high-drag shape, to the surface and land lightly. They would be more accurate than parachute-deployed packages and able to guarantee landings within a 30-foot radius—so suitable for everything from mountainous terrain to urban areas. 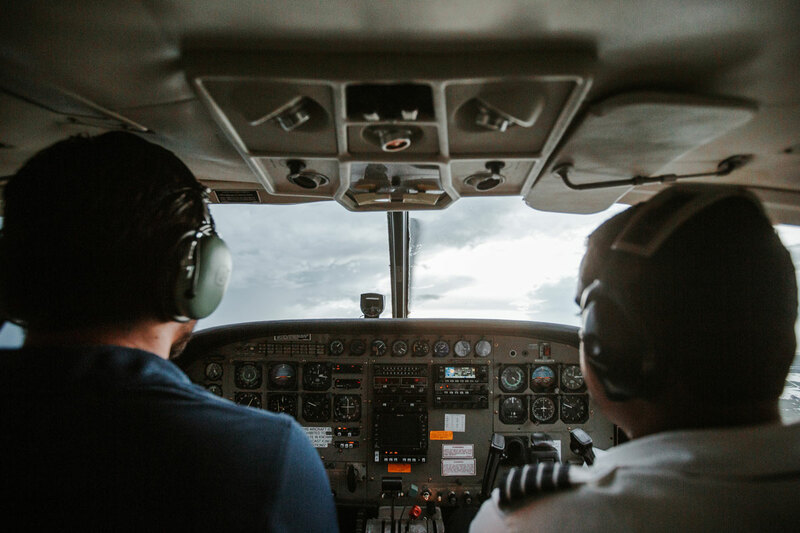 DASH isn’t far enough along to test actual prototypes in Puerto Rico, so Ifill is using off-the-shelf parachute-deployed containers that he drops out of a small chartered cargo aircraft, a Cessna 208B operated by M&N Aviation in San Juan. He is, however, testing the company’s mission planning software, which itself has helped improve the accuracy of the parachuted air-drops. “We’re able to reach the drop-zone with a bit more accuracy,” Ifill says. 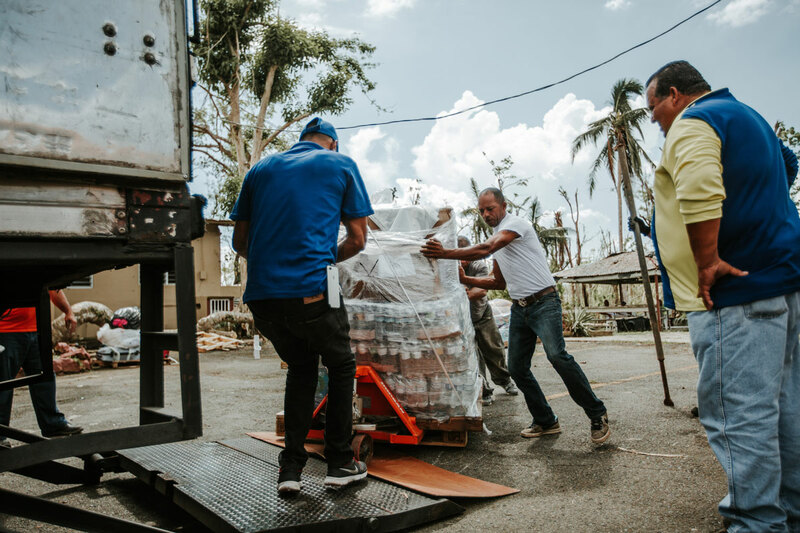 “We’ve done two full flights so far, dropping 2,000 pounds of supplies each to three different locations from about 1,000 feet above the ground, with another scheduled for tomorrow. They’re all inland mountain communities that are cut off from the supply sources, but they know we’re coming so they’re able to be ready for the drops." At the moment, ground transportation can often take days to reach remote areas—assuming the roads are clear. A UAV-based system such as DASH is developing could have packages on the ground within an hour. “The only thing that would stop us is bad weather here at the airport—so washed-out roads and downed trees aren’t a problem, as they are for trucks,” Ifill says. Furthermore, one-way cargo deliveries would help ensure access even when the infrastructure that supports the aviation system is disabled because of lost power. If cargo aircraft can’t land, some can simply be sent out to drop supplie from above and then return to their starting point hundreds of miles away. Because DASH’s system isn’t technically a drone operating in the public airspace, it will also be much easier to get approvals from the FAA. The company is the only civilian company currently authorized to conduct air-drops in Puerto Rico. Ultimately, the company hopes its technology can also be used for larger pallets of supplies and even routine deliveries in remote areas—weekly food and medicine dropped onto your lawn in South Dakota by aircraft the fly over anyway, for instance. Ifill argues that the out-and-back drone delivery proposals favored by Amazon, FedEx, and others are impractical due to regulatory restrictions and the capabilities of the drones. (“Those are still a decade off,” he says.) 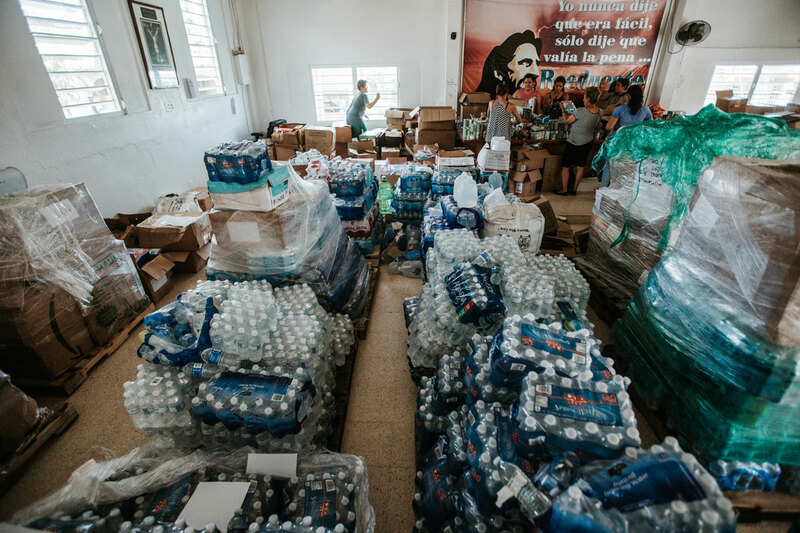 In Puerto Rico, Ifill found the air-drop strategy more than validated. “The biggest lesson here is that precision opens up more drop zones,” he says. “People need supplies delivered right to them, and the military can only guarantee a drop if there’s a large open farm field. The right technology, though, can put it down anywhere." Ifill says he will continue to make the drops until his effort runs out of funding, mostly secured via donations, or the need fades. But as it looks right now, the latter looks like it’s still a long way off. Eric Adams is The Drive's Technology Correspondent. Follow him on Twitter at @ericadams321.